Hi there! I hope every one had a wonderful Christmas! We got dumped on with snow over the last couple of days! I had the day off and it was a good day to be snowed in and play with my Club Scrap A Night at the Met club stamp kit. 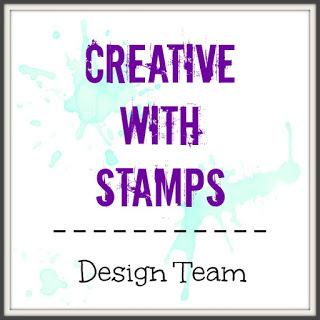 I made a few cards to add to the Club Scrap blog hop and linky party. I made a half circle pop up card. I found a good tutorial on Pinterest. The back panel is a Stampin Up! stamp called Sheet Music. All other papers and images are from A Night at the Met. 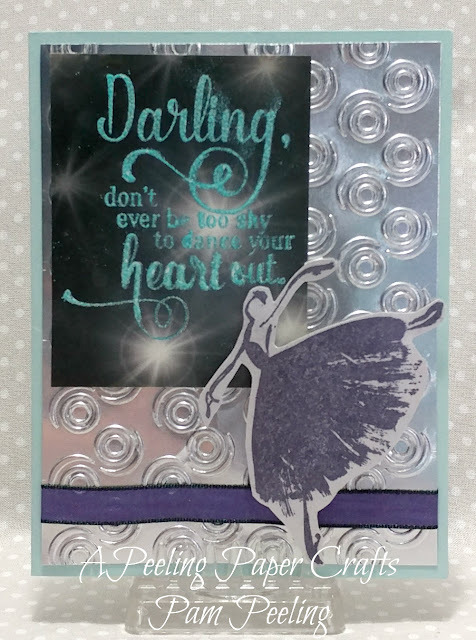 I stamped the ballerina in black ink and then applied embossing powders in 3 different colors where I had drawn with a clear embossing pen. 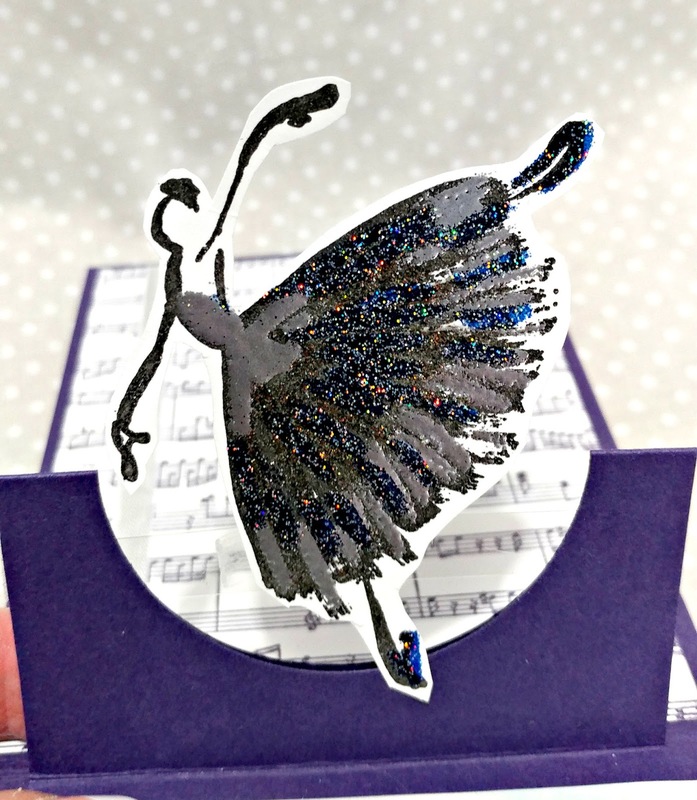 I fussy cut the ballerina and glued her to a piece of acetate I had adhered in the cut out circle. 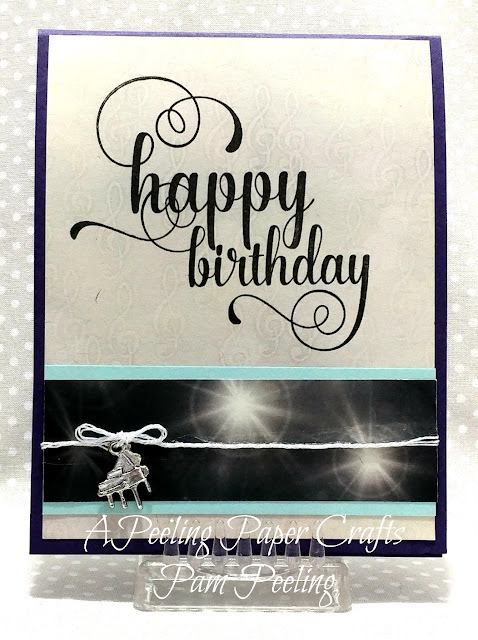 I embossed the silver cardstock with an embossing folder. 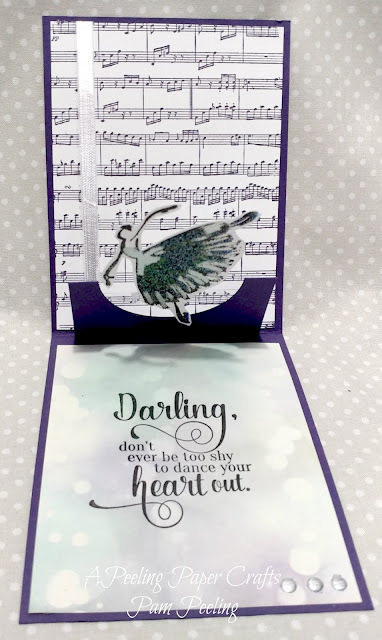 I fussy cut the ballerina unmounted rubber stamp image and added foam dots to give it a bit of dimension. I used turquoise embossing powder on the stamped sentiment. The background of this card is a part of the quad print with the club stamp kit. 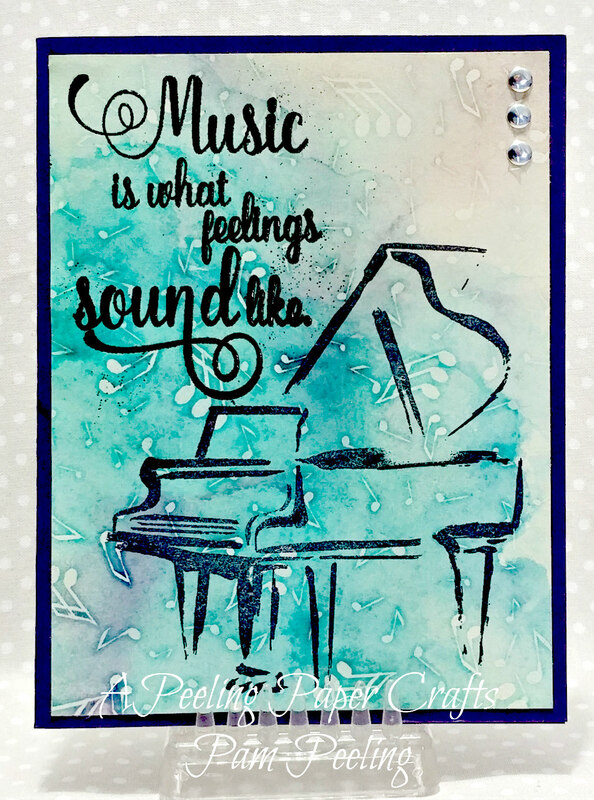 It's hard to tell in the photo but the piano image is stamped in an eggplant color and the sentiment is black embossing powder. 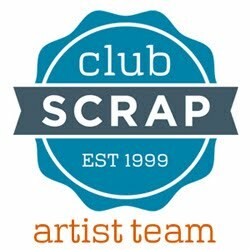 Get over to Club Scrap and link up your own A Night at the Met Project! Love the sparkle! Beautiful cards Pam. So beautiful! My favorite is the last one! But I love the sparkly embossed ballerina! Such pretty cards! My favorite is the ballerina pop-up on acetate. So clever! Pam I adore all of these cards! I especially love how you created the pop up ballerina!